Graphic organziers can be found here. Passages can be found here. I love it! What a fun idea with Halloween inspired stories. I would love for you to upload them. Thank you for sharing your ideas. I read your blog quite frequently! You inspire me. Thanks for some great ideas!! I would love for you to upload the documents. I love this as well! My kids would love this. I would love you to upload them!! I would love it if you uploaded them or put them on TPT! P.S. 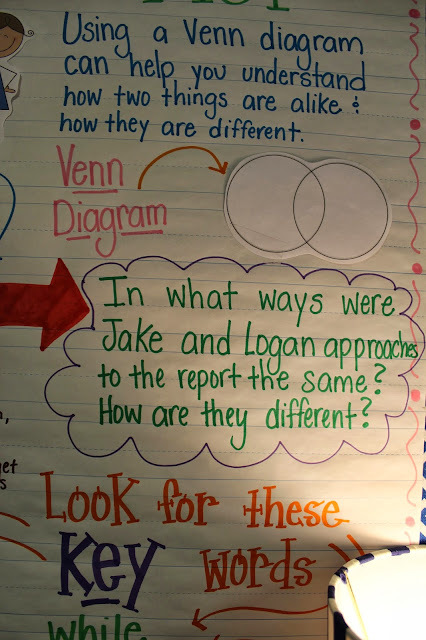 Your anchor chart looks amazing! Love your Compare and Contrast bulletin board! I would love for you to upload your passages and the things are will be doing for morning work, warm up, etc! Did you upload the documents?? Cute Cute!! Wow girlfriend! 5th grade is treating you WELL! Your classroom looks ABSOLUTELY AMAZING!! These anchor charts and bulletin boards?! SWOON! 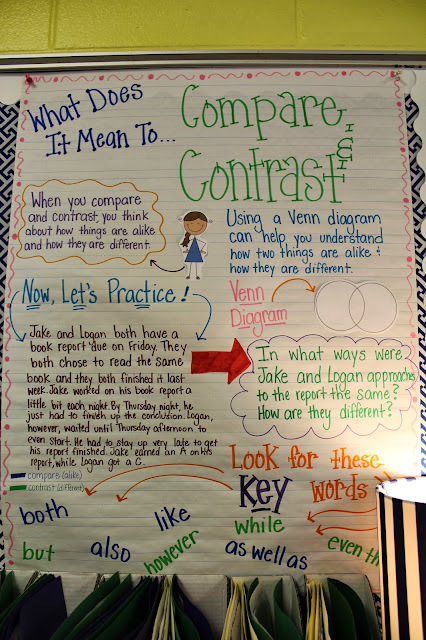 I love these compare and contrast ideas. These are such important concepts that our students should have mastered before 5th grade, but many of them still struggle with it. You make it so fun for your students. Thanks so much for sharing! We newly adopted Reading Street as well. I love the resources you've created (please share!) :). I've found the flip stations are a great center for small groups. 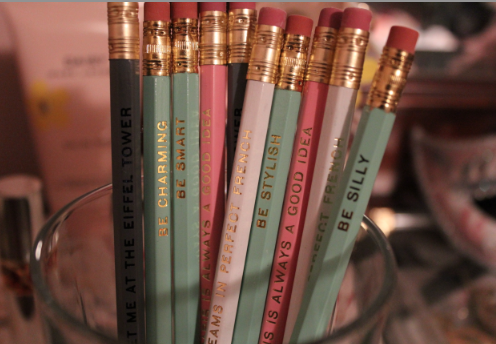 The Reader's & Writer's Notebook has some alright resources, but I feel like there is not enough practice. They have additional resources on the website under additional resources>whiteboard transparencies>pick your skill and you can find grammar, writing, etc samples. I would love anything you have!!! mkunst@grantspass.k12.or.us I am now following you as well! I would love to be email buddies to see what you are working on and share ideas! Please let me know!! I love your board and activities. Do you a set up for the remaining strategies, such as, cause and effect and so on? If so, I love to see what you have or know how these boards helped your students. Please contact me at softy112070@yahoo.com. My goodness, your room is so inspiring!! Love it!! Did you upload these sheets as I would love a copy. You have such great ideas. Who inspires you? Where do your ideas come from? Can you please upload these compare and contrast sheets for me? I would appreciate it. Can you upload these? I'm currently a student teacher and would love to use these worksheets this friday with my clasa! Love your room! I would also LOVE these resources- worksheets and passages! jhall@lhsd.k12.oh.us Thanks!! I would love these resources as well! chappell@aaps.k12.mi.us Thanks for creating this awesome unit. Would you upload these compare and contrasts worksheets for me? Is this in your tpt store? I love them and think my kiddos would enjoy them as well. I would love these Halloween stories, i'm doing this standard the week of Halloween! I would love to get your resources. Thanks! Your ideas are always fantastic! Can you please share copies of the resources you mentioned in this post? I like your posts. May I please have a copy of your resources (including write the room)? I like your posts. May I please have a copy of your resources (including write the room passages)? I would love to have these resources. I love the passages would love to use the worksheets! Could you share the worksheets? I love the passages used them last year would love to use the worksheets with them! I'd love the downloads. You're welcome to send them to bubblegumgirl@gmail.com. :) I'm just starting to homeschool my kids, and I love your website. It has so many good ideas! Maybe now my kids will do something fun and not think I'm so boring. Haha!